I have food allergies. Is there anything I should be worried about with regards to your fruit? Can I buy your fruit direct? Where can I buy Sage Fruit product? Can I buy a tree? What kind of wax is used? Is the wax safe to eat? What is the best way to store my apples/pears/cherries? What kind of pesticides are used? Are pesticides used on your organic apples? How do I know if my pear is ripe enough to eat? 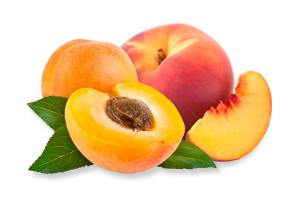 Sage Fruit does not apply anything to our fruit that contains any known food allergen (i.e. milk, eggs, fish, shellfish, tree nuts, peanut, wheat, and soybean) or their derivatives such as, casein and gluten. At this time, Sage Fruit does not ship directly to consumers. However, our apples, pears and cherries can be purchased at a large number of retail chains across the country. Sage Fruit’s apples, pears and cherries can be purchased at a large number of retail chains across the country. Feel free to contact us to find out if we are shipping to your local super market. We do not sell trees or root stock from our orchards. If you’re looking to plant your own apple, pear or cherry trees, our best suggestion would be to contact your local nursery to see if they have any availability. Sage Fruit and our partner warehouses do not grow, pack, or ship fruit that is a Genetically Modified Organism (GMO). Apples naturally create their own wax while growing on a tree in order to protect themselves from the environment. After harvest, apples are washed and brushed to remove leaves and field dirt before they are packed for shipping to your local market. This cleaning process removes the fruit’s original wax coating. So, when packing them for shipment to your grocery stores, we apply food-grade wax to help them maintain their freshness. It is used to seal the apples and prevent moisture loss, undesirable dehydration and to make them shine. One pound of wax may cover as many as 160,000 pieces of fruit; perhaps two drops is the most wax covering any apple. Waxes have been used on fruits and vegetables since the 1920s, and they are all made from natural ingredients that are certified by the U.S. Food and Drug Administration to be safe to eat. We use a food-grade shellac or carnauba wax on all of our apples. It is absolutely safe to eat, and in fact, most of the nutrients of an apple are in the skin! 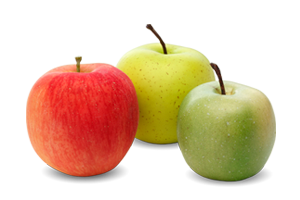 We use a food grade wax on our conventional apples that is safe for human consumption and conforms to FDA guidelines. Apples – We recommend that you refrigerate your apples for best quality. Apples stay freshest when they’re refrigerated at about 33 degrees Fahrenheit. They won’t stay crispy and crunchy for long when kept at room temperature. Pears –If the pears are ripe (see ripening information below), they can be utilized right away or refrigerated to slow further ripening. If they need to be ripened, the one thing you need to do is leave them at room temperature. Some people place them in a paper bag to help them ripen faster. Be sure to check them daily so they don’t get overripe. Once they are ripened, pears will generally keep in the refrigerator for 3 to 5 days. Unripe fruit can generally be kept for a week or more, however, pears will not ripen properly inside the fridge. 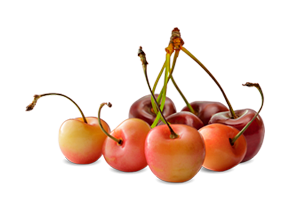 Cherries – It is recommended that you refrigerate your unwashed cherries as soon as you get them home from the super market. Storing them at room temperature will cause them to deteriorate at a much quicker rate. Avoid placing your cherries near strong-scented foods in the refrigerator. Rinse your cherries when you are ready to eat them. Apples/Pears – It’s recommended to wash all fresh fruits and vegetables before eating. Apples should be washed under cool running tap water, scrubbing with your clean hands. Washing with soap or detergents is not recommended. Cherries – The best way to make sure your cherries are clean is by running them under cool water to rinse them off. Unlike some other fruits and vegetables, no additional wax is added to cherries, and we never add any other preservatives. All of the pesticides used by our growers are in 100% compliance with EPA standards and label requirements. At Sage Fruit, we are very careful to ensure that the time between the last application and when we harvest the fruit is in accordance with label requirements. We have 3rd party audits in all of our orchards to examine pesticide spray records for both quantity used and timing. We also hire labs to do testing for maximum residue levels (MRL’s) and our fruit is well below (as in a small fraction of) the limits on all of these tests. 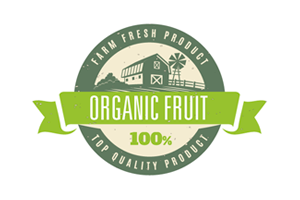 All of our organic fruit is certified through the USDA. Through the USDA, there are certain pesticides that are approved for use on organic product. An Organic farmers’ primary strategy is prevention. By building healthy soils, healthy plants are better able to resist disease and insects. However, ff these issues do arise, the grower may apply botanical or other non-persistent pesticides from the USDA National List of Approved Substances. All pesticides used are in 100% compliance with EPA and USDA standards and label requirements. We are very careful to ensure that the time between the last application and when we harvest the fruit is in accordance with label requirements. We have 3rd party audits in all of our orchards to examine pesticide spray records for both quantity used and timing to ensure they comply with USDA Organic standards. We also hire labs to do testing for maximum residue levels (MRL’s) and our fruit is well within the limits on all of these tests. Pears are a unique fruit in that they ripen best off the tree. As such, pears are transported when they’re fully mature, but not always ripe. This assures that pears you buy are in good condition to properly ripen them at home after you buy them. Pears need to ripen at room temperature, so leave them on the kitchen counter or on the dining room table. Placing your pears in a paper bag will help them ripen faster. Be sure to check them daily so they don’t get overripe. Add apples or bananas to speed up the process, as ripening fruit naturally gives off ethylene, so more ethylene in the air around the pear will help speed ripening. Place ripe pears in the refrigerator to slow further ripening. Because they ripen from the inside out, the best way to check for ripeness is to “check the neck.” To do this, gently press near the stem with your thumb. When it gives to gentle pressure it is ripe, juicy, and ready to eat. 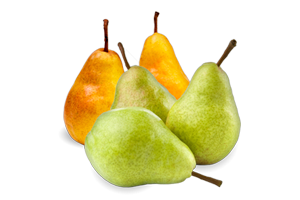 If you wait until the pear is soft around the middle, then it will be overripe.